Bells may not be ringing. Fire Works may not be exploding. Buntins may not be fluttering from its more that 100 foot tall steeple. There may not be a big parade along Brickdam, but this year, 2018, when the city of Georgetown is also quietly celebrating a special milestone, (175 years old), the iconic wooden St. Andrews Kirk, is quietly celebrating its 200 year of existence and service to the nation. There are many special houses of worship in Georgetown which, by-and-large, are taken for granted by most of us. 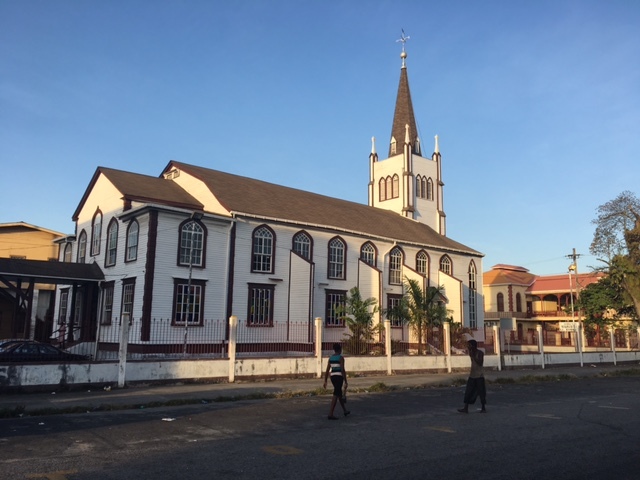 They include the St. George’s Cathedral, the Smith’s Memorial Church, the Cathedral of the Immaculate Conception, and Christ Church among others. Most times such special buildings are lamented only when they are no longer with us. PORT OF SPAIN, Trinidad — As Trinidad and Tobago is about to celebrate its 56th anniversary of political independence, its state owned oil refinery company Petrotrin, which has employed thousands of permanent and contract workers over the last decades will now be shutting down in the near future, according to Petrotrin officials and government ministers. Petrotrin is a state owned enterprise in the integrated oil and gas industry, engaged in the full range of petroleum operations including exploration for development of and production of hydrocarbons, and the manufacturing and marketing of a wide range of petroleum products.